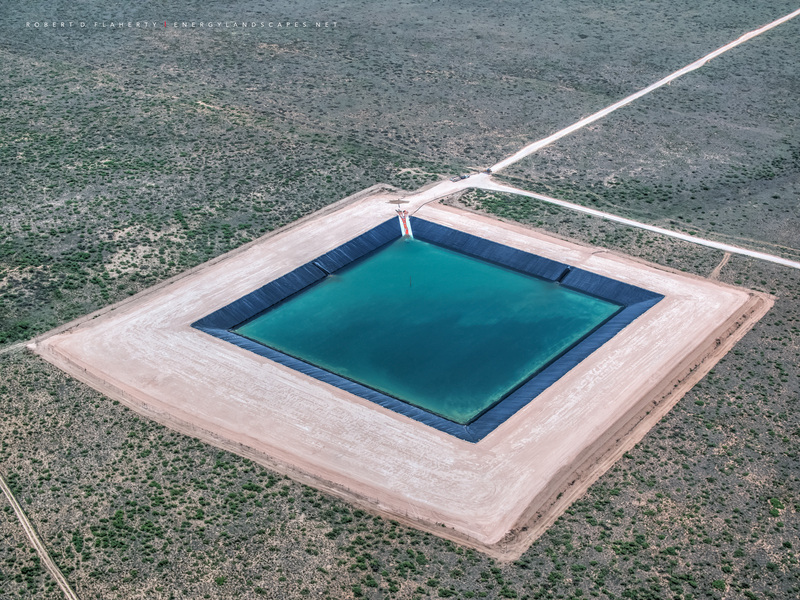 Aerial Frac Water Detail features a 400,000 barrel frac water impoundment servicing new wells being completed in the far Western Delaware Basin. The 30 foot depth of this pond contributes to its massive capacity. Water continues to be the most important asset in the nation's most productive new oil & gas field. Oil & water logistics is rapidly becoming one of the most critical parts of the completion business. Fine art oil & gas photography by Robert D. Flaherty.